Happy Friday Wyrdos! The Other Side can be a pretty weird place! And the ECB Black Ops embrace that weirdness and now fight along side it! Let's take a look. Before Ephraim Wade became Adeodatos, he was detained by the Extraordinary Cases Bureau for questioning. At first, the ECB wrote the man off as delusional and psychotic. Over time, however, more and more of what Wade was saying began to make sense to the agents. His understanding of magic and the Breach was unparalleled, and he seemed to be able to accurately predict the future. When the Burning Man appeared, it just confirmed everything Wade had told them as the truth. Rather than fight against an enemy they knew they couldn't defeat, the ECB Black Ops decided to join the winning team and went rogue. 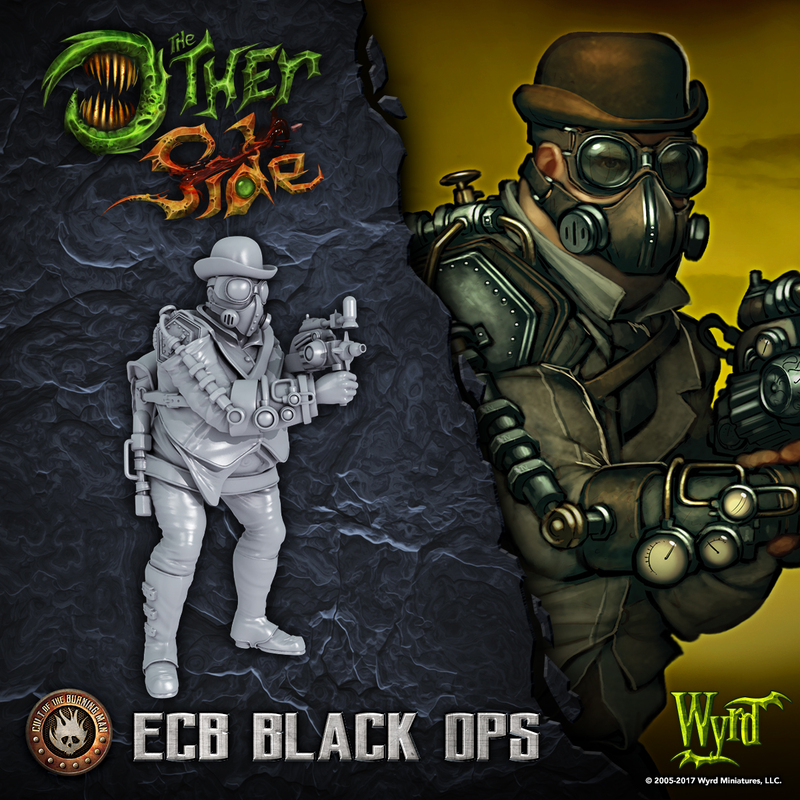 On the table, the ECB Black Ops operate independently, allowing them to cover a lot of ground. Their Webley Revolvers are extremely potent, particularly against targets with Assets, which makes them ideal at hunting Commanders and Titans. Their Knocking Down the Pillars of Reality Action can be very potent, but it also requires a great deal of setup. And they betrayed their duty! ECBs are the true symbol of The Other Side. He is rolly polly with a bowler hat! My "Must Have" unit No.1 for The Other Side. Still not sure about what I will play, but these are just magnificent miniatures. The English Cricket Board is here! Just in time since the Poms need all the help they can get! 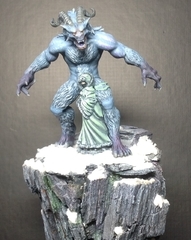 Great minis, I just added a unit to my pledge! Can't wait to get good ol' Blowtorch Granny onto the board! Thread-nomancy here, but this unit is a strong drop into Aby in general, in addition to being a titan/character threat. Their deployment and how the rules work for placement allows them to go from covering a wide area with potential threats to being able to focus fire on virtually any point on the board. As an Aby player facing the ECB for the first time recently, they are a solid piece to consider having on your tournament roster if you're playing Burning Man.